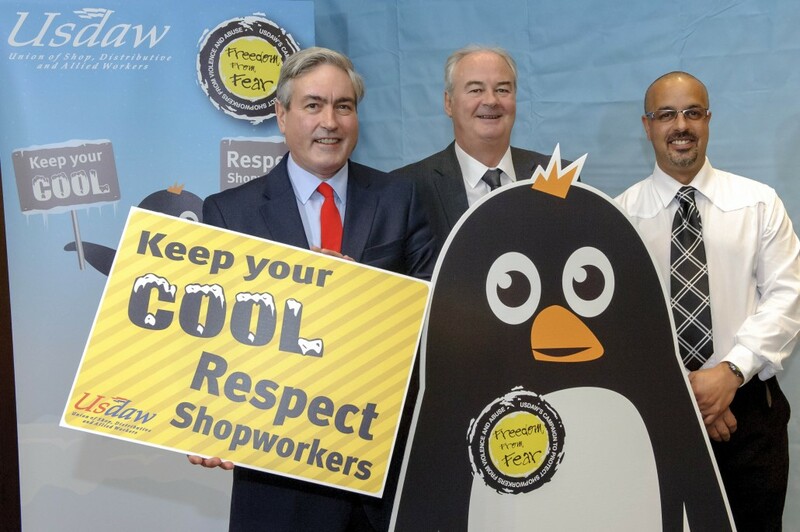 Iain Gray MSP has given his backing to Respect for Shopworkers Week which, at the start of the very busy Christmas shopping period, aims to remind shoppers that retail staff are real people who do not deserve to be abused, threatened or assaulted. 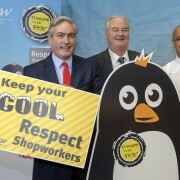 The annual awareness week (11-15 November) is organised by the Usdaw union, which represents shopworkers and other retail and distribution workers. Its retail crime annual survey shows that every minute of every day another shopworker is verbally abused, threatened or physically attacked. “We all know that Christmas is one of the most stressful times of the year and that Christmas shopping is one of the key reasons for that. Too often shopworkers here in East Lothian and across the country are confronted with violence, threats and abuse and it is really important we stand together and ask people to ‘keep their cool and respect shopworkers’. “I support Usdaw’s call for a change in the law to provide stiffer sentences for those who assault workers. It was very disappointing the SNP Government blocked Hugh Henry’s Workers (Aggravated Offences) Scotland Bill 2010 in the last Parliament. That Bill would have included all workers serving the public in the protections we have already given to emergency service workers. “I hope that we will get an opportunity in this Parliament to vote on such a measure and that the Government will have a change of heart and offer more than warm words this time. There is a real need to address the scourge of workers being assaulted and I am concerned that assailants are getting away with it too easily. “Cases like Val, a Scottish shopworker, who was punched on the jaw when she asked a persistent shoplifter to leave, because the thief had been barred from the store. Val gave a statement and the police saw the CCTV footage. The attacker was arrested but nothing more has happened. “We are grateful for the support of MSPs like Iain Gray who support our campaign to keep our members safe at work.